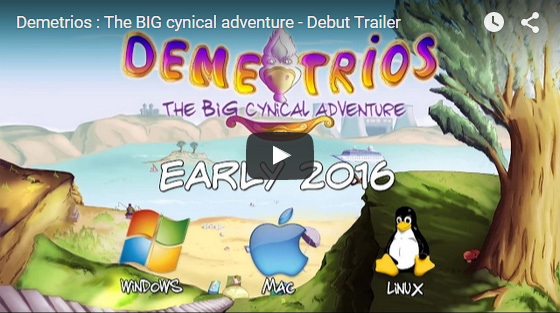 My Point & Click adventure video game "Demetrios - The BIG cynical adventure" just launched on Kickstarter and Steam Greenlight! Steam is the main online gaming store / service on PC, on which games can be bought. Greenlight is a system on which people can vote for indie games submitted, in order to become available on Steam.